Panelists will discuss different aspects of information needs from different library types to provide more insight on the implications of LGBT users' needs and how librarians can support them in terms of reference and instruction service, collection development, programming and outreach. Bothmann, Bobby, Heather Tompkins, and Rachel Wexelbaum. 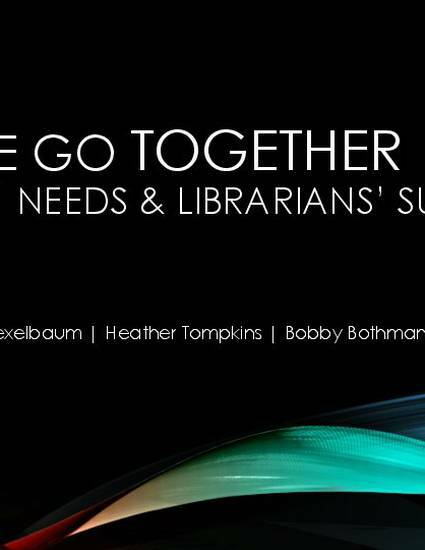 "We Go Together": LGBT Users' Needs and Librarians' Support. Minnesota Library Association 2014 Annual Conference, 9 October 2014, Mankato, Minn.